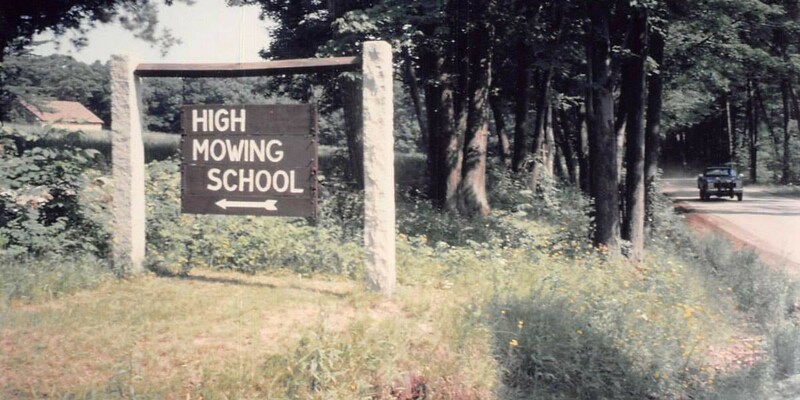 On this day 75 years ago, Beulah H. Emmet founded High Mowing School. 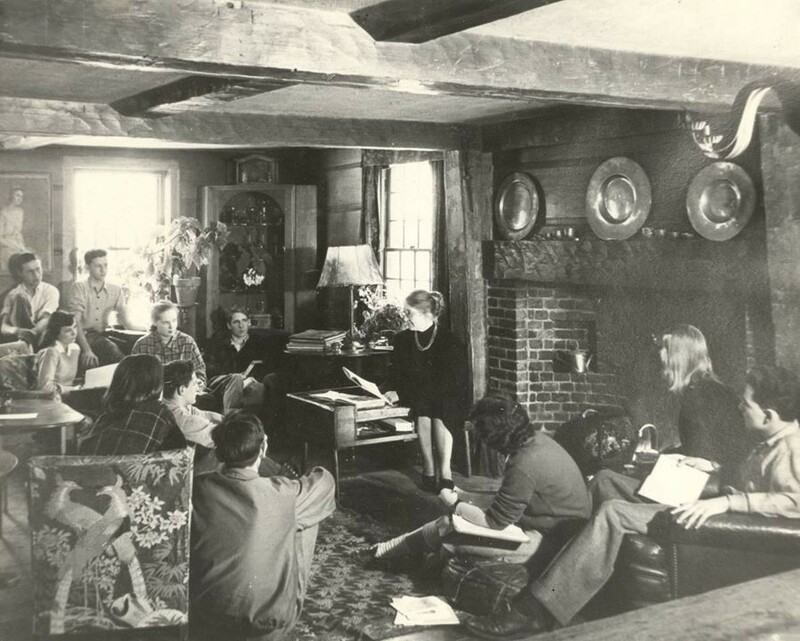 She had left her teaching job at a school in Connecticut — “out of loyalty to a principle of freedom” — and set out to form a school at her summer home in Wilton, New Hampshire. Neither the New Hampshire State Board of Education nor a war-time building moratorium could stop Mrs. Emmet. The school opened its doors in September of that year. Inspired by the work of Rudolf Steiner, she was committed to meeting the needs of contemporary youth. 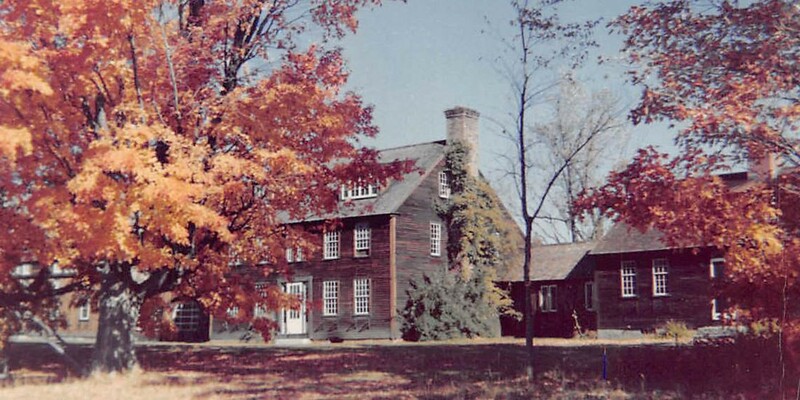 For many years the school remained the personal property of Mrs. Emmet, but in 1957, at a faculty and trustee meeting, she gifted the buildings and the land to the school. In gratitude, the faculty gave her the right to live on campus, in her house, for as long as she wished. In January of 1970, a fire destroyed much of High Mowing’s campus along with most of Mrs. Emmet’s belongings and other school artifacts. Once spring came, hard work and a community effort made quick work of the fire’s rubble. The school was rebuilt, but not exactly as it was before; slowly, it started to look like it does today. As the school recovered during the 1970s, Mrs. Emmet gradually transferred its running to the faculty. Around that time she wrote From Farm to School, in which she recounted the school’s formation, struggles, and successes. Mrs. Emmet passed away in 1978. The work she began all those years ago has continued in the forty years since her passing, carried by dedicated teachers and a committed community. As the High Mowing community celebrates this special day, we look back with gratitude and forward with hope. It is because of our faculty’s dedication, our founder’s vision, and the generous support of the school’s alumni and parents that we are able, 75 years on, to still enact the mission of the school. To celebrate this milestone, we are launching the “75 More” campaign. Our goal is to receive 100 donations of $75 between now and the end of Reunion Weekend on June 18. 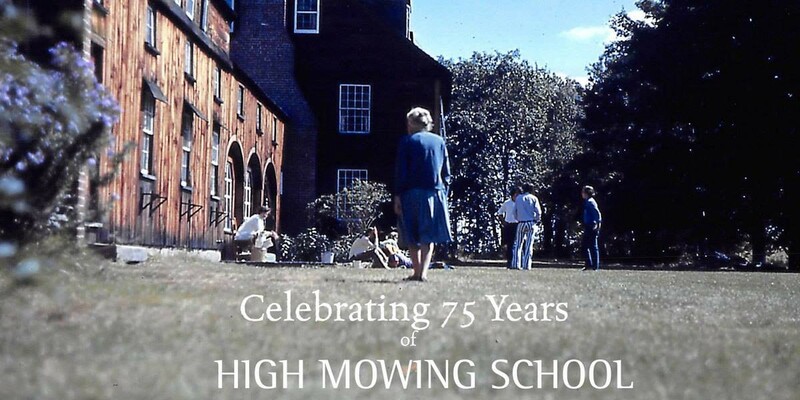 Please share this post to help us spread the word about this campaign, and visit www.highmowing.org/75 to make a gift supporting 75 more years of High Mowing School.